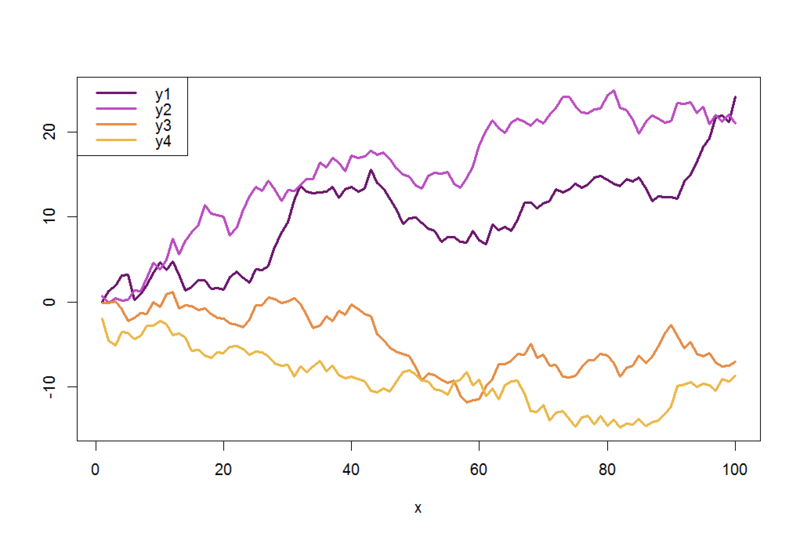 When plotting, I am constantly defaulting to the "main" colors in R – In other words, the colors that one can quickly call by number (1="black", 2="red", 3="green", 4="blue", … etc.) . In my opinion, these colors do not lend themselves well to compelling graphics. I imagine this is the reason for the inclusion of the much more pleasing color palettes used by default in the popular graphical package ggplot2. I try and choose better colors for final figure versions for publishing, but it is usually a tedious process of trial and error with functions like rgb(). There are some nice alternate color palettes out there probably more in line with color theory, and one has a lot of flexibility with functions like colorRampPalette(), but I wanted to have a function where I can choose colors visually in order to speed up the process. 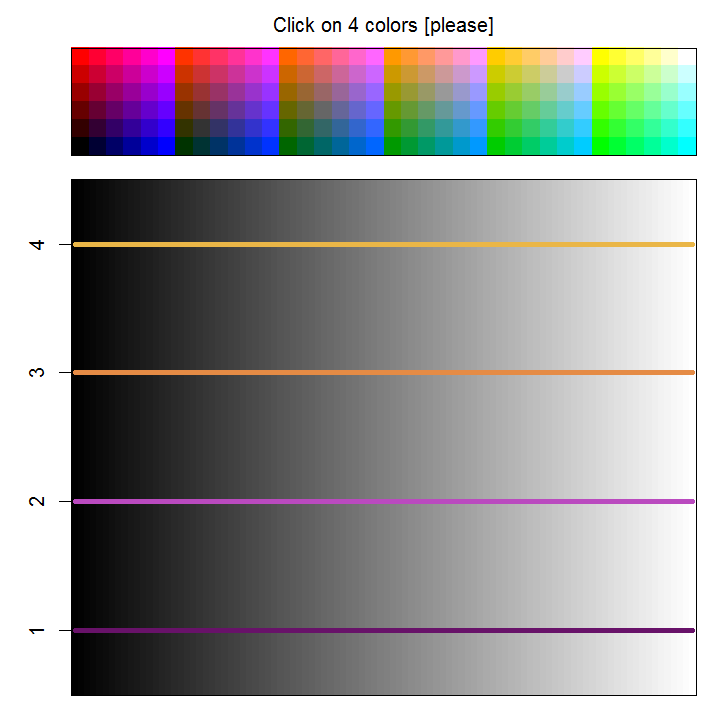 Below is the function getcolors(), which allows for this selection by using a simplified color swatch to allow selection with a mouse using the locator() function (above, top plot). Following selection, a second plot opens showing how these colors look next to each other and on a background gradient of black to white. The function uses an RGB color model: Red increases on the y-axis, Green increases on the x-axis, and Blue is a repeated sequence of levels across the x-axis).